At Infocomm 2018 George Tucker talked with Taft-The Dude-Strickland from Just Add Power. 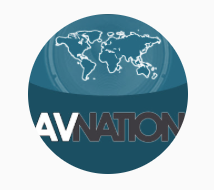 While the integration industry is buzzing about AV over IP, Just Add Power has been manufacturing American Made HDMI over IP products for 10 years. All previous products are guaranteed to have compatible connections with new units. A simple firmware upgrade is all that is needed and it includes a free collaboration product called Plug Play Present.